Key Difference: Inotropic, Chronotropic, and Dromotropic are different types of cardiac drugs. This classification is based on the way these drugs are used for the treatment of a particular condition. Inotropic drugs affect the force of cardiac contraction. Chronotropic drugs affect the heart rate. Dromotropic drugs affect conduction velocity through the conducting tissues of the heart. Inotropic, Chronotropic and Dromotropic are different types of cardiac drugs. This classification is based on the way these drugs are used for the treatment of a particular condition. Inotropic drugs affect the force of cardiac contraction. Chronotropic drugs affect the heart rate. Dromotropic drugs affect conduction velocity through the conducting tissues of the heart. Inotropic agents basically affect the contraction of the heart muscles. There are two types of inotropic agents– Positive inotropic agents increase the force of myocardial contraction. On the other hand, negative inotropic agents decrease the force of myocardial contraction. Also see: Heart attack Vs. Cardiac arrest. Dromotropic drugs affect the conduction of electrical impulses through the myocardium. Positive dromotropic drugs increase this rate of conduction, whereas negative dromotropic drugs decrease this rate of electrical conduction. These cardiovascular drugs differ from each other primarily on the basis of the aspects related to cardiac performance which they influence or effect. Positive Inotropic – dopamine, adrenaline, etc. From chrono-, meaning time, and tropos, "a turn"
A very satisfying clarification simple and to the point! I believe your drug examples are incorrect. Digoxin deals with contractility, it is POSITIVE Inotropic. 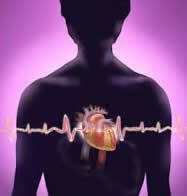 Digoxin gives your heart a more powerful efficient pump. Propranolol is NEGATIVE chronotropic as it slows down the heart rate, which is why you need to assess heart rate before administration, because if it's below 60bpm administration is contraindicated as it will bring the heart rate down dangerously low. Your Calcium channel blocker Verapamil is correct it blocks calcium from causing contractions in the heart. Dioxin is both a positive inotrope abdominal a negative chronotropic agent. Remember it slows heart rate down which is why you check it before administration. It also improves contraction (inotropic effect) by increasing ca in cells. I like this presentation, but in the interest of accuracy, we normally spell propranolol with 2 r's in the U.S.. Is it not spelled that way in the U.K.?